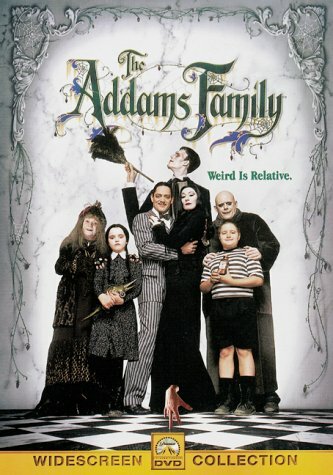 Leonard Maltin/Plot synopsis: Piquant comedy based on Charles Addams' macabre cartoon family (later popularized on the same-named TV series), whose greedy lawyer tries to plunder their fortune by planting an impostor in the household who claims to be their long-lost Uncle Fester. Huston and Julia are absolutely perfect as Morticia and Gomez, and manage to maintain a light touch while dispensing their gleefully ghoulish black humor. Impressive directorial debut for talented cinematographer Sonnenfeld. Followed by two sequels.